Friday is almost here, finally! It’s been a long week with a lot going on at work, I’ve been dragging in the evenings this week just wanting to come down from the busy day. But I’ve been getting in therapy time in the kitchen creating recipes and inspired to work with chia and flax seeds more, especially trying to enjoy more flax seeds by adding spoonfuls to breakfast smoothies, sauces, and dressings to enjoy either raw or cooked. 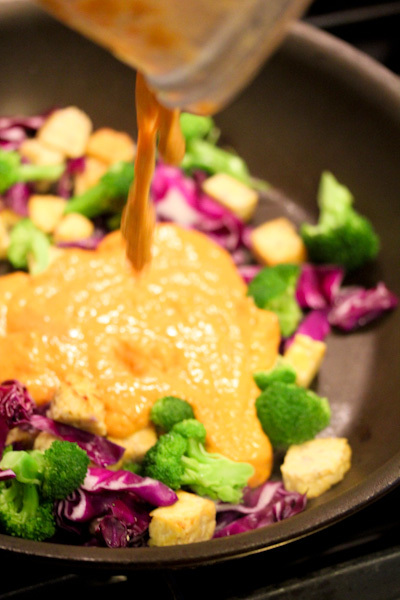 I came up with this sauce for a tempeh skillet and it worked out nicely with a strong curry kick and cheesy, thick, and gooey texture. Place all ingredients into a high speed blender and blend until smooth and creamy. 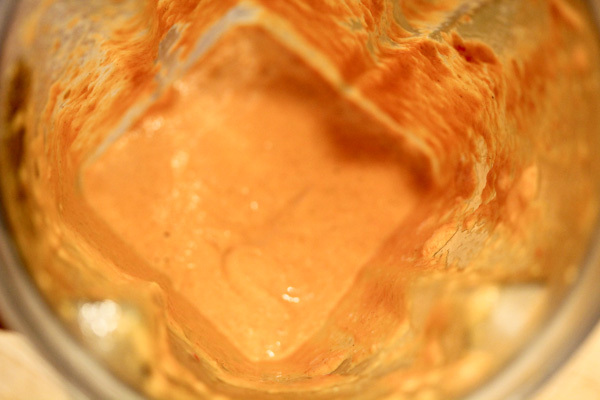 Use a s dip, salad dressing, spread, or stir fry sauce. Makes 4 servings. The color is very cheesy looking. I removed the heat in the skillet before adding the sauce since the tempeh and veggies were cooked perfectly. And stirred it in to give everything a nice coating for a simple dinner that was ready in minutes. 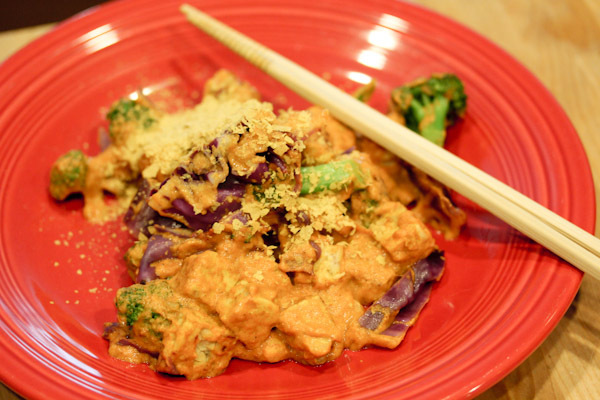 The flavor of the sauce is kicky with a hearty curry and slight spice from the cayenne and garlic, but the texture is more cheesy and smooth and held up well to the heat. I’ve been eyeballing this since you posted it! I so want some of it!!! !